Good morning, we are finally getting some good rain here in southern California so I figured it would be a great morning for coffee and some blogging. Since the last post I have moved on to the design and build of the stand. We deiced on Wenge, a dark, almost black tropical wood that is not so friendly to work with hand tools, but with a little time the end product is stunning. When it came time for the shaping and faring of the curves the only tools that work well are scrapers (basically piece of steel with a bur turned over on an edge) properly tuned it can create a shaving like a hand plane and leave a beautiful surface. To start, I milled the rough stock, prepped for the joinery placement and began cutting the mortises. 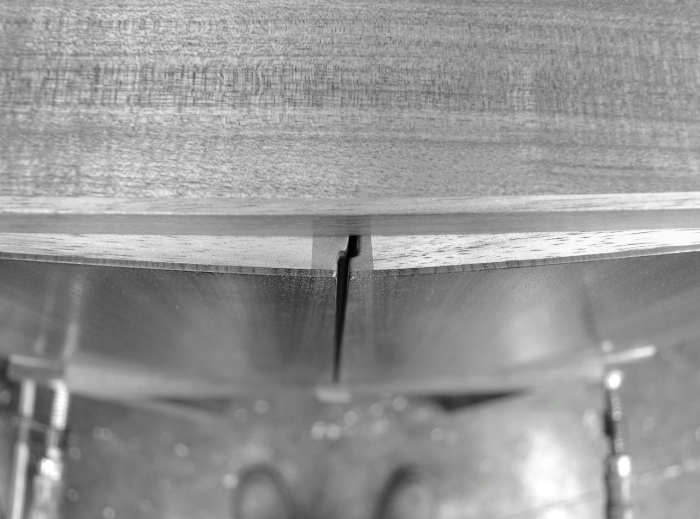 Cutting the mortises is done while all the stock is still square, leaving the pieces a shade over sized to allow for the cutting and faring of the curves. After all the joinery was complete it was time to lay out the curves, first cut free hand on the band saw then fared with scrapers and rasps. The insides of the legs have a concave surface while the outsides have a slight convex. Once shaped and surface prepped, it was on to glue up, one more final surface prep and placing a small bevel around the top. With all the large tasks completed it's time to sit at the bench and work some of the smaller details. There are still a handful of things to complete, small trays for the drawers, installing the lock, milling brass mounting hardware for the stand, and designing drawer pulls. After a few different mock ups for pulls I decided to keep with the boxwood, matching the drawer fronts. Gluing in the drawer pulls is always a satisfying feeling, being able to open the drawers without pulling on a piece of blue tape... great.